A WEBSITE FOR AND ABOUT CANADIANS WITH THE SURNAME "GRANT"
Welcome to Clan Grant Canada Online - a website for, by and about Canadians with the surname "Grant." Chief of the Grants, Sir James Grant of Grant, Lord Strathspey, Baronet of Nova Scotia, 33rd Chief of Grant. Steward of the MacRobbie Grants of Trois-Rivieres, Anita Grant Steele of Whitehorse, Yukon. Steward of the Siol Cudbright Sept, Sandra Horyski of Winnipeg, Manitoba. Steward of the Grants of Corrimony, Cameron Grant of Kelowna, British Columbia. Anita Grant Steele - Steward of MacRobbie Grants of Trois-Rivieres. 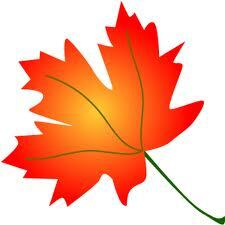 To collect and share stories about all Grants in Canada. To bring Canadian history alive through stories of this iconic Canadian family. We are trying to make our website as interactive and interesting as possible. Today we made it easier for people to join our clangrantcanada Google Group. If you aren't a member yet, check it out.